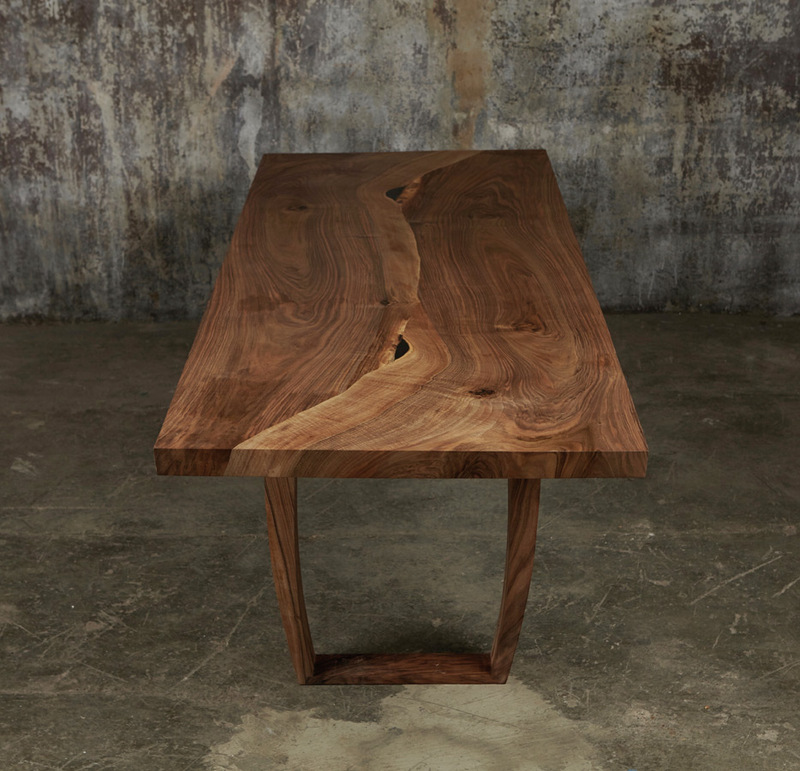 This is the first in an edition of six tables that we are making from the same 310cm / 10ft in length of English walnut log that is rich in ripple. 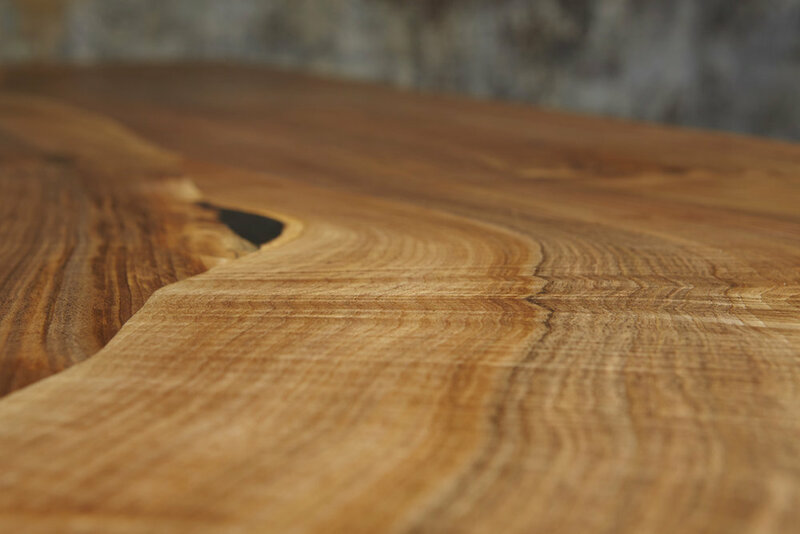 Ripple is rarely found in timber and is valued for its visual beauty, it has the illusion of being a 3D surface like shallow water running over sand, but when you touch it the surface is completely flat. As each one is made to order, they can be any size up to 300cm / 10ft in length.